The digital divide was initially defined by socioeconomic variables, mainly the level of family income, but now it focuses on how the Internet is used and is called digital inequality. In the case of universities, recent studies have pointed to the existence of patterns that are dependent on a variety of socioeconomic variables. This article analyses the effect that the level of family income, gender and age of students from five Ecuadorian universities has on Internet use for academic activities and entertainment purposes. In the procedure applied to a sample of 4,697 students, factor analysis was used to reduce the data, and multivariate logistic regression was used to estimate the relationships. The results show that the higher the level of family income, the better the technology use for academic activities. Regarding entertainment, the level of income does not determine the intensity of technology use, though it does determine the types of tool that students use. With reference to gender, men have a greater tendency to use technology for entertainment, but there is no difference between genders when it comes to academic uses. Torres-Diaz, J. & Duart, J. (2015). Determinants of digital inequality in universities: the case of Ecuador. 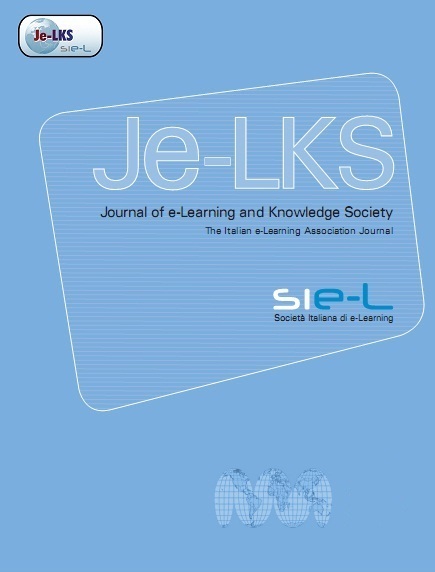 Journal of e-Learning and Knowledge Society, 11 (3),. Italian e-Learning Association. Retrieved April 22, 2019 from https://www.learntechlib.org/p/151919/. Bartlett, J., Kotrlik, J., & Higgins, C. (2001), Organizational Research: Determining Appropriate Sample Size in Survey Research. Information Technology, Learning, and Performance Journal, 19(1), 43–50. Castaño-Muñoz, J., Duart, J.M., & Sancho-Vinuesa, T. (2013), The Internet in face-toface higher education: Can interactive learning improve academic achievement?. British Journal of Educational Technology. Doi:10.1111/bjet.12007Cea,M.A. (2005),Laexterior i zac ión de la xeno fob ia. Revista E spaño la de Investigaciones Sociológicas, 112(5), 197–230. Cochran, W. (1977), Sampling techniques (3rd ed.). New York: John Wiley& Sons. Díaz De Rada, J.V. (2002), Técnicas de análisis multivariante para investigación social y comercial. Madrid: RAMA. DiMaggio, P., & Hargittai, E. (2001), From the ‘Digital Divide’ to ’Digital Inequality’: Studying Internet Use As Penetration Increases. New Jersey: Princeton University. DiMaggio, P., Hargittai, E., Celeste, C., & Shafer, S. (2004), From unequal access to differentiated use: A literature review and agenda for research on digital inequality. In K. Neckerman (Ed. ), Social inequality (pp. 355–400). New York: Citeseer. Duart, J.M., & Lupiáñez-Villanueva, F. (2005), E-strategies in the introduction and use of information and communication technologies in the university. RUSC. Universities and Knowledge Society Journal, 2(1). Falk, J.H., & Needham, M.D. (2013), Factors contributing to adult knowledge of science and technology. Journal of Research in Science Teaching, 50(4), 431–452. Graham, R. (2008), The Stylization of Internet Life? : Predictors of Internet Leisure Patterns Using Digital Inequality and Status Group Perspectives. Sociological Research Online, 13(5). Gutierrez, L., & Gamboa, L. (2010), Determinants of ICT Usage among Low-Income Groups in Colombia, Mexico, and Peru. The Information Society: An international Journal, 26(1), 346–363. Hargittai, E. (2002), Second level digital divide: Differences in people’s online skills. First Monday, 7(4). Doi:10.5210/fm.v7i4.942. Huang, W.H.D., Hood, D.W., & Yoo, S.J. (2013), Gender divide and acceptance of collaborative Web 2.0 applications for learning in higher education. Internet and Higher Education, 16, 57–65. Doi:J.iheduc.2012.02.001 Joiner, R., Gavin, J., Brosnan, M., Cromby, J., Gregory, H., Guiller, J., Moon, A. (2012), Gender, internet experience, internet identification, and internet anxiety: A ten-year followup. Cyberpsychology, Behavior and Social Networking, 15(7), 370–372. Junco, R., Merson, D., & Salter, D.W. (2010), The effect of gender, ethnicity, and income on college students’ use of communication technologies. Cyberpsychology, Behavior and Social Networking, 13(6), 619–27. Kubey, R.W., Lavin, M.J., & Barrows, J.R. (2001), Internet use and collegiate academic performance decrements: Early fíndings. Journal of Communication, 51(2), 366–382. Leung, L., & Lee, P. (2012), Impact of Internet Literacy, Internet Addiction Symptoms, and Internet Activities on Academic Performance. Social Science Computer Review, 30(4), 403–418. Livingstone, S., Bober, M., & Helsper, E. (2005), Inequalities and the digital divide in children and young people’s internet use: findings from the UK Children Go Online project. London UK: London School of Economics and Political Science. Livingstone, S., & Helsper, E. (2007), Gradations in digital inclusion: children, young people and the digital divide. New Media& Society, 9(4) , 671–696. Markovíc, S., & Jovanovíc, N. (2012), Learning style as a factor which affects the quality of e-learning. Artificial Intelligence Review, 38, 303–312. Selwyn, N. (2010), Degrees of Digital Division: Reconsidering Digital Inequalities and Contemporary Higher Education. RUSC. Universities and Knowledge Society Journal, 7(1). Shunglu, S., & Sarkar, M. (1995), Researching the Consumer. Marketing and Research, 23(2). Torres-Diaz, J.C., & Infante-Moro, A. (2011), Desigualdad digital en la universidad: Incidencia de los ingresos en los usos de Internet en Ecuador. Comunicar, 37(2). Torres-Diaz, J.C., Morocho, M., & Guamán, J. (2010), La educación virtual en Ecuador. In C. Rama & J.L. Pardo (Eds. ), La educación superior a distancia: Miradas diversas desde Iberoamérica (pp. 76–91). Madrid: INTEVED. Wittwer, J., & Senkbeil, M. (2008), Is students’ computer use at home related to their mathematical performance at school?. Computers& Education, 50(4), 1558–1571.